Hand built and tuned by stethoscope in our Tahara plant, this incredible 5.0-litre V8 engine develops 463 DIN hp and more than 520 Nm of torque. The cylinder head and all moving parts are designed to provide increased maximum power at higher engine revs. High-back seats feature Lexus’ integrated foaming technique, which achieves a cosseting, highly supportive fit. Seat cushion shape and firmness have been optimised to reduce pressure on the sensitive ischial region. Available on selected grades. 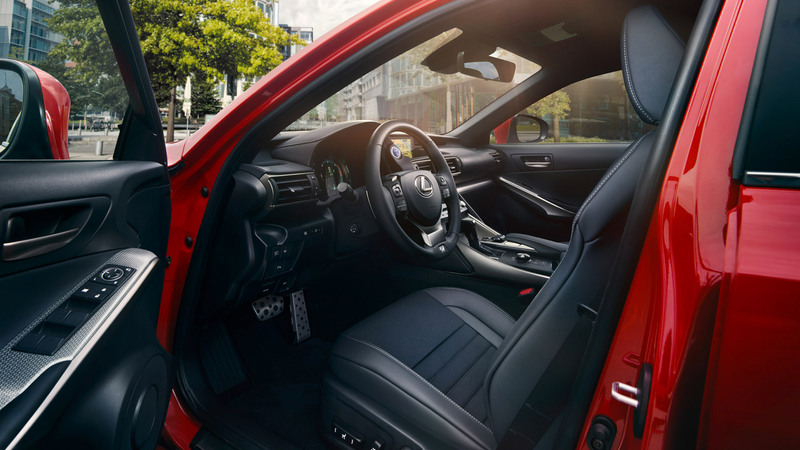 The RC F’s beautifully crafted high-back sports seats are made using an integrated foaming technique for a an athletic fit. The deep bolstered panels provide comfort and lateral support, as well as keeping you firmly gripped through every turn (Selected grades only). The RC F Special Edition celebrates the 10th anniversary of the Lexus F marque. A rare and exclusive version of the performance coupé, it made its European debut at the Geneva Motor Show. The car’s powerful lines and sculpted surfaces have been given extra impact with a matte paint finish in Nebula grey. The matte theme is also picked up in exterior elements such as the door handles, mirror housings, side skirts and shark fin antenna. This strikes a strong contrast with the highly polished black finish of the 19-inch multi-spoke alloy wheels. Without a doubt one of the best prestige marque sports cars I have ever owned the build quality the comfort, equipment and the performance are tremendous.